I love this record and the musicians who support the Jay Willie Blues Band. The band has been performing together for over a decade and includes some of New England’s most impressive performers. Vocalist Malorie Leogrande is a performing five-octave range vocalist who holds a MALS degree in Arts and Humanities from Wesleyan University. Drummer Bobby T Torello has been the driving force of bands featuring Michael Bolton, Jefferson Starship's Grace Slick and the iconic bluesman Johnny Winter. He's toured the globe sharing the stage with Aerosmith, Foreigner and Stevie Ray Vaughan. Recently I had the honor of performing with Bobby and former Winter bassist Jon Paris at BB Kings Club in New York City to pay a special tribute to the late Johnny Winter’s 72th birthday celebration. Bassist Steve Clarke has performed with two-time Grammy nominee Sherry Winston, The Coasters, The Drifters, Mary Wells, Sam & Dave, toured Europe with trumpeter Laco Deczi’s & Celula New York band and the Chris Tofield Blues Band. Vocalist and Guitarist Bob Callahan has shared the stage with prominent musicians including James Cotton, Matt Murphy, Colin Tilton, Andy Powell, and James Montgomery. Saxophonist Teddy Yakush can be seen regularly with many local bands performing varied genres of music. This is the fourth consecutive Jay Willie Blues Band album which features blues harmonica ace Jason Ricci. Jason has had some great career successes since our ZOHO previous release “Johnny’s’ Juke Joint” (ZOHO ZM 201510). Most notably, Jason contributed to the Johnny Winter 2015 Grammy-winning Best Blues Album “Step Back”. Jason also performed at the 2015 Rock and Roll Hall of Fame Induction of The Paul Butterfield Blues Band where he gave a slaying performance of "Born In Chicago” along with Tom Morello on guitar and Zac Brown on vocals. The opening track of Johnny Otis’ Willie and The Hand Jive is an example of Jason’s outstanding skills and comping ability together with the melody and its infectious Bo Diddley beat. Although this song has been accused of referencing, say, male self-gratification, it really is about a man named Willie becoming famous for doing a dance with his hands. When performing live we usually include this song in our set list. It is always a favorite, and it's surprising how many people know and perform the dance with their hands. Although we are titled and known as a blues band on the ZOHO ROOTS label, this band has the ability to perform and record all types of blues, and its neighboring genres R & B, and Classic Rock. This is a blessing as well as a challenge. The challenge is that there are so many worthy varieties and styles that choosing the right songs for a satisfying album listening experience can be daunting. Incorporating a variety of styles is both difficult and fun, and we want to keep our listening audience on their toes, never quite knowing what to expect next. What our audience can rightfully expect though is that all tracks will be funky and entertaining , with the classic cover songs being complimentary to the Jay Willie Blues Band originals. The greatest motivator for me is to consistently produce a better recording than the previous release by harnessing the musical talent and skills of the collective band. Many of the tracks on this release would be deemed Traditional Rhythm and Blues with the soul influence of Motown, and are a celebration of artists including Al Green, Barbara Lynn, Smokey Robinson, Johnny Otis, and others. Singer Malorie Leogrande’s unique vocal prowess and intensity is what guided me in this direction. Malorie demonstrates her musical versatility transitioning from the soothing early 50’s ballad A Million Tears to the dynamic soul hits of Barbara Lynn, This is The Thanks I Get, You’ll Lose a good Thing, and You Left The Water Running. Malorie Leogrande, vocalist with the Jay Willie Blues Band. The Horse was the B side instrumental version of the Cliff Nobles single “Love is Alright” and was a 1968 hit on the Billboard Charts. Nobles does not even perform on that track. There is a rare Cliff Nobles vocal version of The Horse and we decided to record this version as well, and to include the instrumental version as the album's concluding bonus track. The Nobles versions featured the horn section of MFSB (Mother Father Sister Brother, the clean interpretation), which was a pool of more than 30 studio musicians from Sigma Sound Studios. Although band member Teddy Yakush is a talented saxophone player, we gave our featured guest artist, Jason Ricci the endeavor of interpreting the MFSB horn section solely with his Diatonic Harmonica, and as expected he came up with a uniquely funky portrayal. In line with Cliff Nobles not performing on The Horse, I do not perform on the beautiful early 50”s Little Sylvia ballad track, A Million Tears. The first time I heard this song, it really touched my soul. The original version includes guitar and other instrumentation, but we recorded it as a moody vocal and bass duo, employing the extraordinary talents of Steve Clarke (bass) and Malorie Leogrande. This album offers all extremes from tranquil to Hell on Wheels and in between. Veteran and former Johnny Winter drummer Bobby T Torello contributes his original composition Alive Again. This song vividly depicts Bobby’s energy, intense enthusiasm and electrified presence when he is performing particularly on stage. Bob Callahan contributes a rockin' original titled Everybody. This is an interesting high energy rockin’ tune that beckons listener participation to shout out the chorus (Hey Hey Yeah). 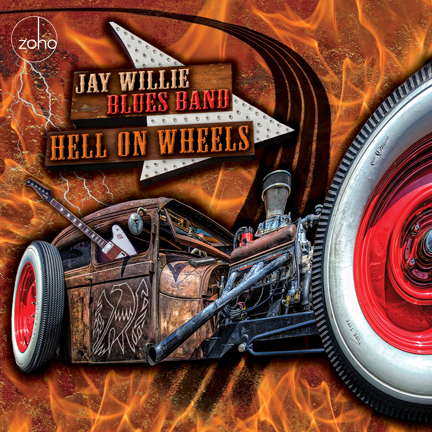 The Jay Willie Blues Band is excited to share our Musical Expression through the worldwide distribution of ZOHO Music in hopes that we elicit a multitude of emotion with the emphasis on pleasure in our audience. Produced by: Jay Willie. Recorded by: Nathan Sage at Whitehouse Productions, Shelton, CT, from October 15, 2015 to March 7, 2016. Jason Ricci harmonica overdubs recorded by: Rich Morpurgo at Midwest Audio Recording, Bloomington, IN. Mixed and mastered by: Dan Coutant at Sun Room Audio, Hudson Valley, NY, in March, 2016. 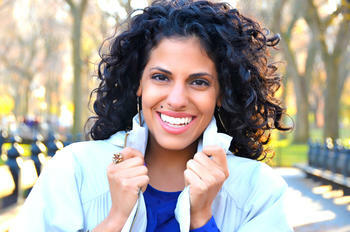 Photography for Malorie Leogrande by: Dennis Kwan Photography. Art direction, design and photography by: Jack Frisch. Executive producer: Joachim "Jochen" Becker.